In a time when more and more people turn their eyes away from the meat counter and look at the vegetables on offer instead, the question of cooking for a young family raises its head. For many people this is a thorny issue, because what are you supposed to make when cooking vegetarian food for the whole family? Will everyone be satisfied and full enough? Will the children even taste it? There are recipes here that take only 20 minutes on a stressful day after work, but also dishes for nights in the week when you might be able to spend a bit longer than half an hour on dinner. There are recipes for the weekend that are a bit more demanding, but also a bit more luxurious. There are also recipes for finger food, good snacks, yummy desserts and lots of practical tips. This book is for anyone who is looking for vegetarian cooking inspiration. Whether the aim is for your family to do without meat now and then, or whether you already cook lots of veggie food but are bored with your old recipes, this cookbook is a colorful, stylish, fun and large source of inspiration in your kitchen. Includes dual measures. 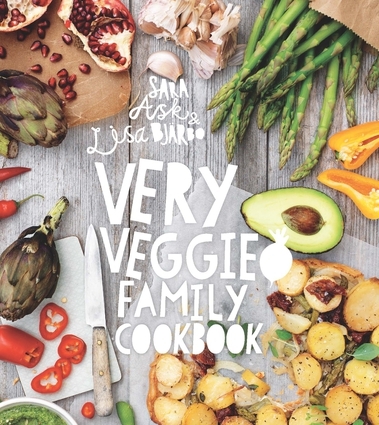 Sara Ask is a children's dietitian, food journalist and lecturer with a lot of experience in creating recipes for parenting magazines among others. Lisa Bjärbo is a journalist, writer, blogger and parent of two very picky vegetarians.